Chiropractors are highly trained and experienced health professionals for spinal complaints. We’re most commonly associated with the effective treatment of neck pain, mid back or lower back pain, pelvic or hip pain, as well as referred or radiating symptoms – pain, numbness, tingling, or weakness in the upper or lower limbs, for example, sciatica, headaches and cervical radiculopathy. On top of this, chiropractic has even greater effects thanks to the relationship of the spine and nervous system.By looking after the position and movement of the 24 movable bones of the spine as well as the pelvis which the spine sits on top of, chiropractors can not only decrease pressure on the pain detectors located between these bones but can reduce the irritation and inflammation of the nerves which exit out from between these bones. 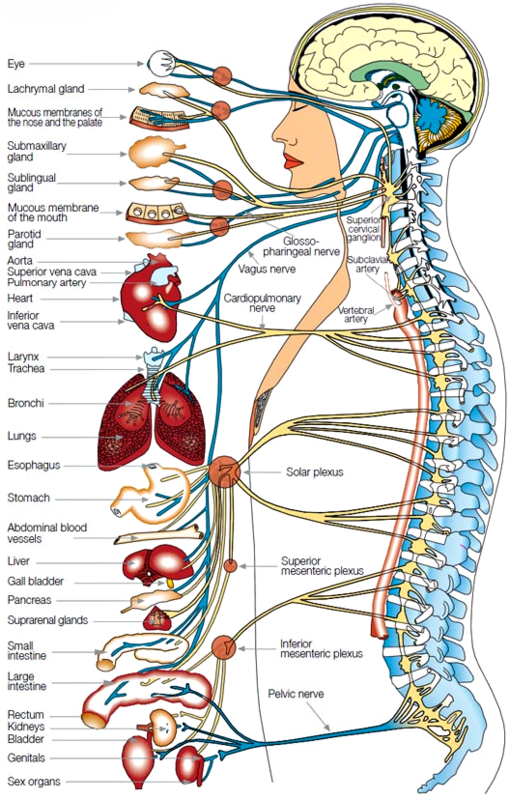 Nerves are the vital communication fibres linking the brain via the spinal cord to all of the body’s muscles, organs, pain/position/sensation sensors… in fact every single cell and system of the body. It stands to reason that decreasing compromised communication between the brain and body will promote better recovery, development, performance and optimal health. BChiro (NZ College of Chiropractic), BCom. BChiro (NZ College of Chiropractic), BSc.